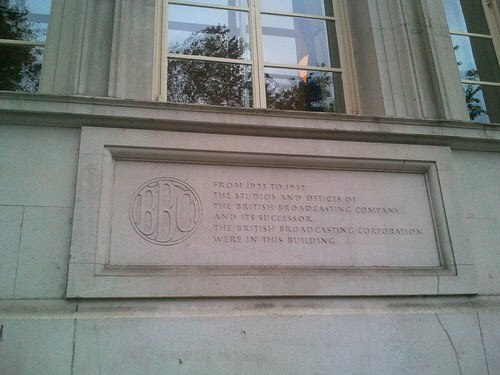 A stone plaque on the side of 2, Savoy Place, a building now occupied by the Institute of Engineering and Technology, marks the spot where its predecessor the Institute of Electrical Engineers also had its headquarters, in which the Institute offered accommodation to the British Broadcasting Company in 1923. Then a fledgling organisation, we are told that the BBC at Savoy Hill was a rather civilised place, where early radio contributions from the likes of HG Wells and George Bernard Shaw were often made over whisky and soda in the days before the corporation moved to Broadcasting House. By the time the BBC vacated the site after nearly a decade in 1932 it had already begun to grow into the behemoth that it is today and was on the verge of making its first TV broadcast.